Divine Tribe are a gospel group consisting of 3 people ; Borniface Mwanza (Bishop), Taurai Njaramba (Whizzy) and Andrew Phiri (Detox). They started of as back up dancers for the likes of Runnel and Ruff kid. They gave there lives to God and started to perform at their church,Northmead Assemblies of God. They recorded and released their first album ,”Kumwamba” in 2006. This album helped Divine tribe to get more exposure , they went from being only know at their church to being know county wide. There aim was to spread a positive message through their music . 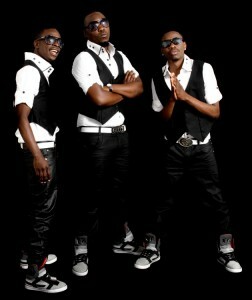 they set their sights on establishing themselves as examples of moral purity and trends among young musicians in Zambia. Higher grounds combines a variety of music styles , fusing Zambian , Nigerian and east African vibes. Locally they have collaborated with the likes of Ephraim, Matthew Ngosa, T.P, Aaron, the amazing angie, DMK, Hezron “Hezijones” Ngosa and a number of producers such as Raydo (Digital X Entertainment) Daxon and killa beats(K-Army) TK (Roma Side Studios) Big Bez (Sound Factory Entertainment) and NOX (Luchi Records) . good one and good work guys! Am so proud of guys…. Continue the good work and keep the fire for Christ. May God Richly bless the works of your hands….